Hugh A. Cobb is a Principal and Owner of Alpha-Barnes Real Estate Services in Dallas, Texas. 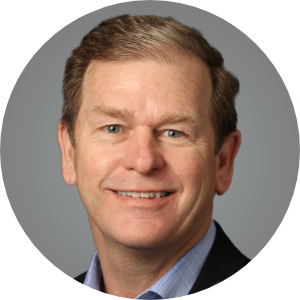 Hugh has over 30 years of real estate experience including management, brokerage, lending and investment. He has completed lease up’s on over 28,000 units of new and renovated properties over the past 17 years. Prior to joining A-BRES in January of 2017, Hugh had held executive positions with such notable companies as Capstone Real Estate Services, The Trammell Crow Company and Integrity Properties. Hugh earned a Bachelor’s of Business Administration (Dean’s List) from Texas Wesleyan University in 1983. In 1984, Hugh was appointed by President Reagan, to serve as Congressional Liaison for The White House in Washington D.C. His experience includes new construction (lease-up and stabilized management), value added, age restricted, affordable housing, office buildings, retail centers, manufactured home communities and more. He has been recognized by the Institute of Real Estate Management as Certified Property Manager® designation. Hugh proudly holds the position of 2016-2017 President of the Apartment Association of Greater Dallas (AAGD) and the Executive Committee of the Texas Apartment Association (TAA). For the Housing Industry, Hugh is a strong advocate for at both the state and local levels, as well as, Washington. On the federal level, Hugh lobbies on behalf of issues important to real estate investment, development and housing affordability. His articles are featured in industry publications, and he enjoys training at local, state and national events. Hugh serves several nonprofit organizations, in Board and Advisory capacities. Hugh and Susan have been married since 1982, have six children plus a son-in-law and a daughter-in-law. They volunteer and attend Gateway Church in Southlake.